Cherie Gil will perhaps be perpetually remembered as Lavinia Arguelles, main antagonist to Dorina Pineda in the 1985 movie “Bituing Walang Ningning.” Lavinia was portrayed as the ultimate symbol of certified greed and envy that will do anything and everything to prevent anyone, most especially Dorina, from claiming her throne. “You’re nothing but a second-rate, trying hard, copycat.” Who can forget how she delivered these infamous lines, followed with an in-your-face water splash on the face of up-and-coming Dorina? Only an actress of Cherie Gil’s caliber can pull off such a scintillating, timeless performance. Of course, there are other exceptional roles that Evangeline Rose Gil Eigenmann, or Cherie Gil, who hails from an entire family chockfull of actors and actresses, all award-winning at that, had portrayed. In the 1994 film adaptation of Mars Ravelo’s classic comic book, Darna, Cherie played the heroine’s main nemesis “Valentina,” and as Monique in 1986 Leroy Salvador film, “Sana’y Wala Nang Wakas.” One #PowerLook from the piercing eyes of this lady of Kampampangan, Spanish, Swiss and German ancestry and you know she is an actress par excellance. It comes as no surprise when global tech giant Acer Philippines chose her to be one of the brand ambassadors of the recently launched Acer Premium line. Composed of middle and high-end IT tools such as smartphones and 2-in-1 devices that showcase first-rate engineering and sophisticated design, the Acer Premium line effectively combines both “Power” and “Looks” making these products a must-have for astute and discerning individuals like Ms Cherie Gil herself. Asked to name her personal favorite among the Acer Premium array, Cherie shares her adoration for the Acer Liquid Jade smartphone. This gem of a device is truly striking with its 5-inch high-definition display with IPS technology that allows great viewing of vibrant and crisp images, videos, and web content even under sunlight. A regal beauty with a 7.5-millimeter thin form factor and curved Corning® Gorilla® Glass design, the Liquid Jade captures delightful memories with its super sharp and fast 13MP F1.8 camera. “I’m not really a contravida in its strictest sense, but I can be one if forced to. One #PowerLook from me and you would know I mean business; which is why I love the Acer Liquid Jade because with just one look at it, you instantly know it has character and confidence. It’s powerful and stylish, just like me,” explains Cherie. As the perfect ambassador for Acer Premium, Cherie shows how today’s Twitter, Tumblr, and Instagram generation should get their hands on the Acer Liquid Jade and the rest of the Acer Premium products, because like her, everybody deserves nothing but the best. 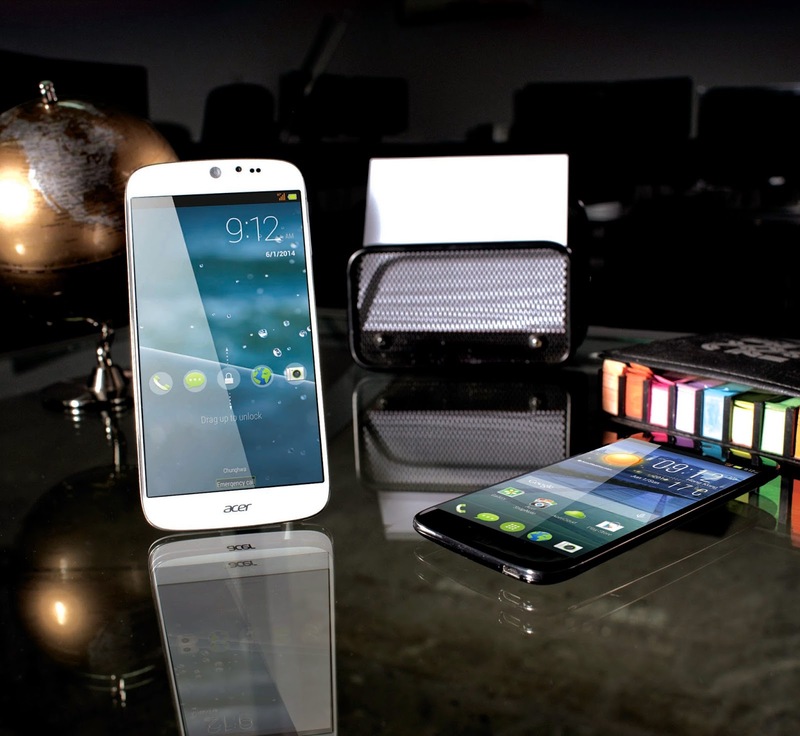 For more about Acer Liquid Jade and other Acer Premium products, visit the Acer Philippines Facebook page (www.facebook.com/AcerPH), follow Acer via Twitter (twitter.com/acerphils), or go to www.acer.com.ph. Established in 1976, Acer is a hardware +software+ services company dedicated to the research, design, marketing, sale and support of innovative products that enhance people's lives. Acer's product offering includes PCs, displays, projectors, servers, tablets and smartphones — tools our customers need to explore beyond limits and experience more. Acer employs 7,400 people and ranks No. 4 for total PCs globally (IDC 2013). Revenues for 2013 reached US$12.02 billion. Please visit www.acer.com for more information.